The Olympics has always managed to bring to the fore front athletes that are going to be immortalized in history. One name that has made it this time is Simone Biles, one of history’s most decorated gymnasts. At the young age of just 20 she has manages to mesmerise the world with her agility and a balance, gracefully carrying out a routine and making it all look effortless, this is no ordinary feet. But how does she manage to do that. To study that you have to probably get down to your local gym and onto the monkey bars; but we suggest you start your research with this info graphic first. 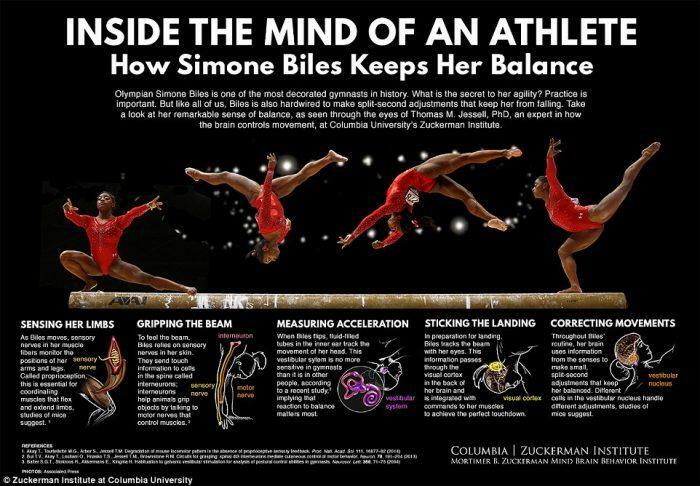 Right from analysing Simone’s movements to tracking her acceleration and co-relation to her brain, this infographic is pretty interesting. Casino Insights – Where, When, How?